When you install any software into a computer system, you have to follow a set procedure. This usually goes like this. This is the usual installation procedure. You can experience the same procedure when you try to install the ‘All in One Keylogger’. The procedure is a self-explanatory one and we will not go into the details. We shall explore the “Additional” window as this could be an area of special interest. This screen has a special feature not usually seen in other similar software. You will find an unmarked checkbox asking you not to disable any snit-spy software. You should follow the instruction and leave it as it is. Then, as a testing procedure you can try to install any anti-spy software. The results could amaze you. You will find the disappearance of a majority portion of the installation screen. 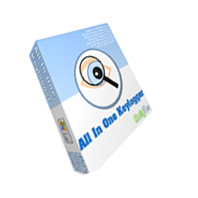 You will be surprised to note that this “All in One Keylogger” is the only software with this unique feature. The program is an excellent one. However, there is scope for improvement in the interface. You will find that grouping of every item into specific categories. Actually, this is what we need. However, it looks like a very old program. You will not find any icons, but only straight lines. This would be the result even if you use Windows 7. This software requires development in this aspect only. We shall now proceed with the review of the “All in One Keylogger.” You will see that the interface is the one noticeable defect in otherwise good software. This software is compatible with all the operating systems. You will not find any problem on testing with Windows 7 and XP. This is very safe software with all the latest security applications. You would not be able to locate this software in the background. You can access this software either by pressing a combination of hotkeys or by using a special keyword. The password can also act as the keyword. You can type the password to open the software window. An important aspect of security is that you can configure both the warning message as well as its text. This is a “Relytec” product. You can monitor each pressed key and clipboard content as well. It can record the system log on and log off times. Making note of the idle time is possible. You can find that the screen shot making features are available. The user has the option of setting the frequency as well as quality. You have the option to make screenshots of the desktop. Alternatively, you can choose for the active window only. You also have to choice to make the screenshot on clicking of the mouse by the user. A very important aspect of the software is that it can record microphone sounds. There is one negative aspect in the monitoring. The software does not catch the system log on password. The software displays excellent results in this aspect of monitoring. Other than monitoring emails, this software is perfect in all the other aspects of online monitoring. The software can log in all the URL’s visited in every browser. It can make a screenshot of all websites visited. It also interprets chat conversations in the messengers, including Skype talk. This is a unique feature, not available with most other software. You can find that this is excellent software as it has passed all the tests in this section too. You can send the log files in many ways to allow for filtering and processing elsewhere.